This is about 50 million levels of gross, but sadly, not particularly surprising when it comes to this particular rapper: In a new freestyle rap, Eminem decided to mock Caitlyn Jenner with an unbelievably transphobic slur that will not only make you disappointed to hear, but also stunned that this sort of stuff can still fly in rap in 2015. After he finished the freestyle, he clarified that the rap was not meant to be taken as a personal insult, which in some ways just makes the Jenner verse worse: He said, "I just say (expletive) to say it. It’s very rarely personal. If it was personal, somebody would know. It’s all in fun." Anyone familiar with Eminem's work knows that this is not entirely surprising, especially considering the misogynistic and homophobic lyrics that can be found in his earlier raps — but it is worth questioning why Eminem still gets a pass for saying transphobic things in his lyrics in 2015. Eminem first made a name for himself with extremely violent lyricism, often with sexist and homophobic undertones. Though some of his most well-known songs were deemed too explicit for the radio, he was able to cultivate a decent size fan base, especially with the help of Dr. Dre and other established artists. 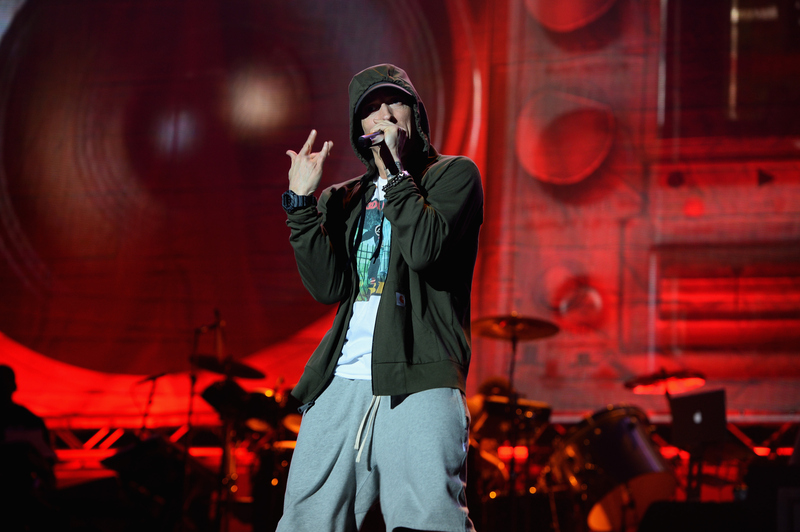 Controversy and Eminem essentially go hand-in-hand, so it's nothing new — additionally, Eminem has been quoted saying that he supports gay marriage as well as folks he has called out before in songs. This might imply that he does not actually mean the things that he says in his raps, but that doesn't make it OK one bit. It is worth keeping in mind that intention does not change impact. Hearing lyrics such as the ones about Jenner — with or without context about the artist or the meaning behind the art — is insulting to the trans community, and, in a time when acceptance, love, and understanding should be promoted amongst those from all walks of life, they should not be given a pass.